Valletta 2018 Chairman Jason Micallef with HRH The Countess of Wessex GCVO at today's Women's Day luncheon. 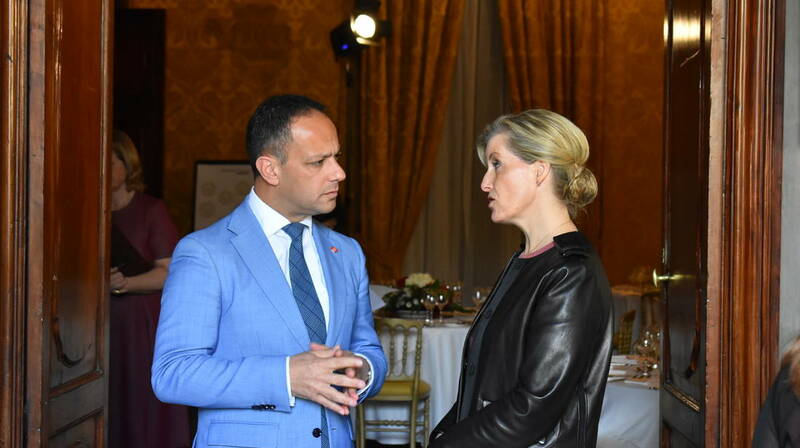 The Valletta 2018 Foundation together with 100 Women in Finance organised a luncheon hosted by Her Excellency Marie-Louise Coleiro Preca at the Grandmaster’s Palace. The guest of honour was HRH The Countess of Wessex GCVO. The Valletta 2018 Foundation organised the luncheon to mark international Women’s Day on March 8th. More than 150 guests attended the luncheon which included women in business, finance, government authorities, civil service and politicians from the Government and opposition benches. Speeches were delivered by Her Excellency the President of Malta Marie-Louise Coleiro Preca, 100 Women in Finance CEO Amanda Pullinger, Minister for Finance Edward Scicluna and Valletta 2018 Chairman Jason Micallef. Mr Micallef said that the event is part of Valletta 2018’s commitment to creating meaningful experiences for all. He explained that gender equality is not just a woman’s issue, but it’s everyone’s issue, and urged people, regardless of their gender, to stand up to prejudice, discrimination, sexual abuse and the maltreatment of women. 100 Women in Finance CEO Amanda Pullinger praised the Valletta 2018 Foundation for this initiative.